A small group of OCCC Spanish students will be going to Costa Rica to study from May 18 through 30. They will join a class from Northeastern Oklahoma State University in Tahlequah for the trip to Central America. The students will improve their Spanish and at the same time will enjoy the adventures and beauties of Costa Rica, said Oklahoma Study Abroad coordinator Christian Alyea, who will guide the group. 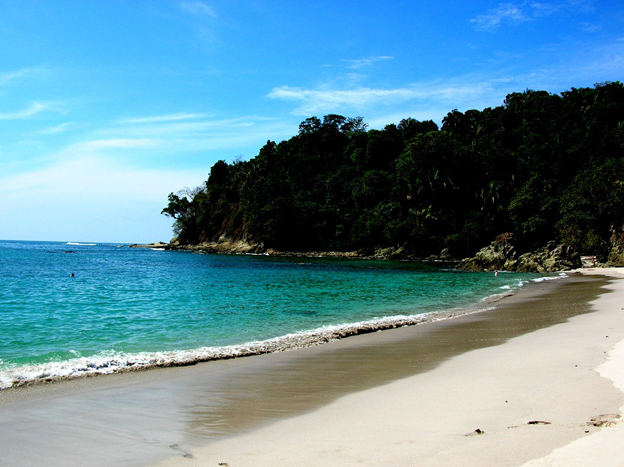 Costa Rica is a country with one of the world’s biggest biodiversity environments. It might be a small country but from the Caribbean Sea on the east coast to the Pacific Ocean on the west coast, students will learn in a variety of settings, most of them outdoors, Alyea said. Costa Rica offers much more than a simple destination. “Students will not only improve their Spanish and cultural knowledge but they will also directly interact with the local communities,” Alyea said. Alyea said students will visit an elementary school in the community of El Cahuita, on the Caribbean coast. “El Cahuita is a very small, friendly, calm and beautiful local community,” Alyea said. Students will interact with the school children and help them by bringing new English learning books to the school library and also art supplies, which is part of a cultural immersion program. Students will be in direct contact with nature, including beach explorations, volcano hiking, coral-reef snorkeling and much more. Students also will be able to learn Spanish in a different environment other than the classroom. OCCC Spanish professor Alba Figueroa has accompanied the students in the past and said the experience is worthwhile. “Students will go surfing, hiking, and zip lining so they can have fun while having an educational vacation,” she said. Student Morgan Kasseman has made the Costa Rica journey two years ago. For more information, access the Oklahoma Study Abroad website at oklahomastudyabroad.com .